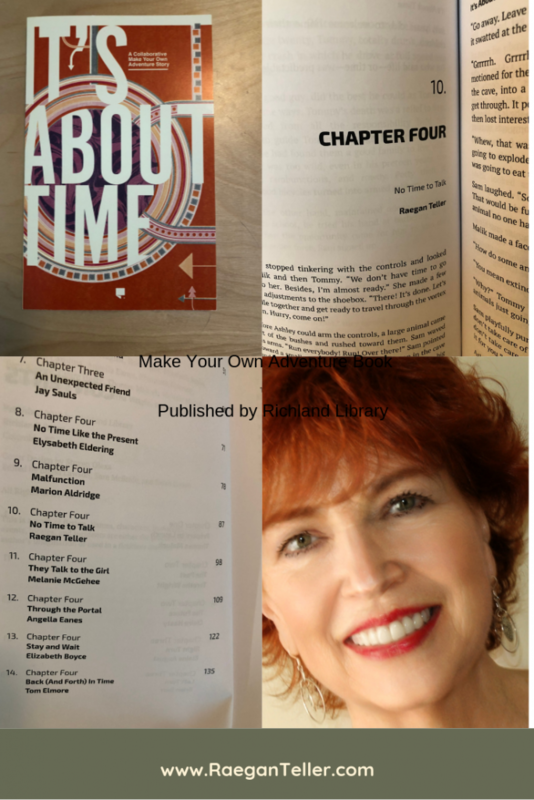 I am honored to have been a contributing author to Richland Library’s make-your-own-adventure book, It’s About Time, a time travel story based in Columbia, South Carolina. If you’re not familiar with this type of book, readers get to choose how they want the story to unfold, based on choices given at the end of each chapter. Since I don’t typically write for a young adult audience, contributing a chapter for this audience created my own adventure. It was a great experience working with the library and the other authors on this fun book. Previous Post The Wait Is Almost Over!